Pre K Scholars has created three phonics-based apps for the Android platform, Phonics Trace & Learn, Phonics Matching & Memory, and Phonics Guessing Game. In December 2011, the iPhone version of the same material, Phonics Fun & Games, was awarded 4.5 stars and “Editors Choice” by BestAppsforKids.com and “Top Pick” by FunEducationalApps.com. All three apps have a free version with an embedded full version priced at $0.99 each. Pre K Scholars has released its first Android apps, Phonics Trace & Learn, Phonics Matching & Memory, and Phonics Guessing Game. The company is dedicated to producing fun, high quality, age-appropriate materials that help prepare children for kindergarten success. “We designed these apps to allow preschoolers to play and learn without direct parental supervision,” said Pre K Scholars founder and former kindergarten teacher, Amy Schwary. “Parents would be surprised to learn how many children do not know their ABCs when they enter kindergarten. We developed these apps to be fun while teaching letter-sound recognition, upper and lower case letter formation and beginning word sounds,” said Schwary. All three of the Android apps have Phonics cards to reinforce upper and lower case letter-sound recognition to which each app adds a unique additional skill. Phonics Trace & Learn teaches proper letter formation, an early handwriting skill. Phonics Matching & Memory adds upper and lower case recognition to its memory game and Phonics Guessing Game reinforces beginning word sounds. The three apps together make up PreKScholars first app developed for the iPhone operating system, Phonics Fun & Games. That app was applauded by reviewers in December 2011. "Phonics Fun & Games is one of the best apps I’ve seen that manages to be repetitive without being redundant or boring," wrote Valerie Lauer, BestAppsforKids reviewer. "The games are self-paced, easy to play and there’s no timer or scoring method hanging over kids heads." 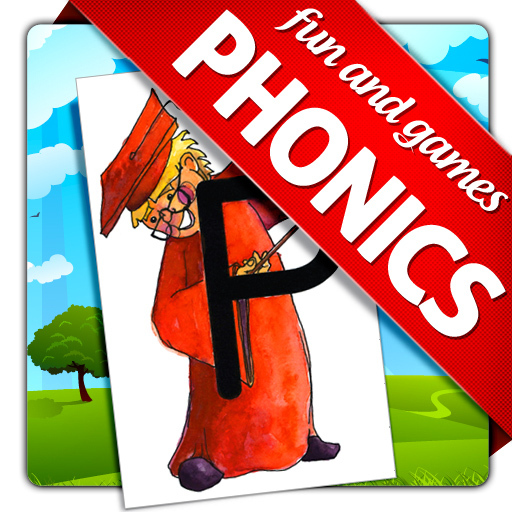 The FunctionalEducationalApps review summarized, "Phonics Fun & Games is a lot more than just an ABC app. It offers a full interactive learning package that stimulates, engages and entertains. This learning app is very well done, allows independent learning, offers original and innovative content, beautiful illustrations … and … just check it out! We loved it and you guessed right, it is definitely a Fun Educational Top Picks." Founded in 2008, Pre K Scholars was developed by Amy Schwary and Alan Pierrot, MD with a vision of providing affordable resources to parents, teachers and preschools to enhance the kindergarten readiness of the population.